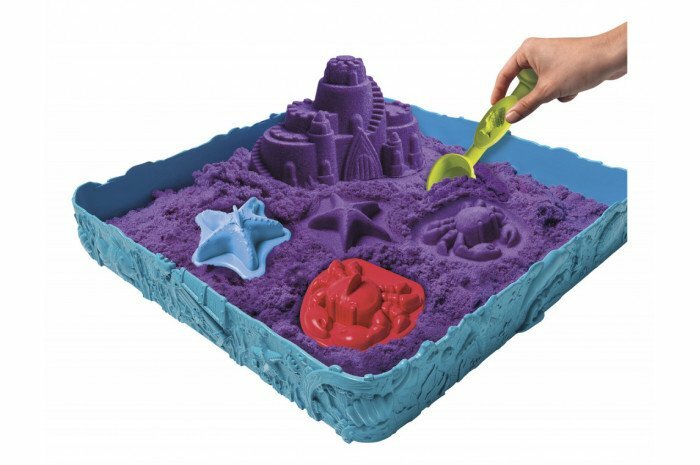 The kinetic sand box comes with a plastic tray, four molds and one pound of kinetic sand. 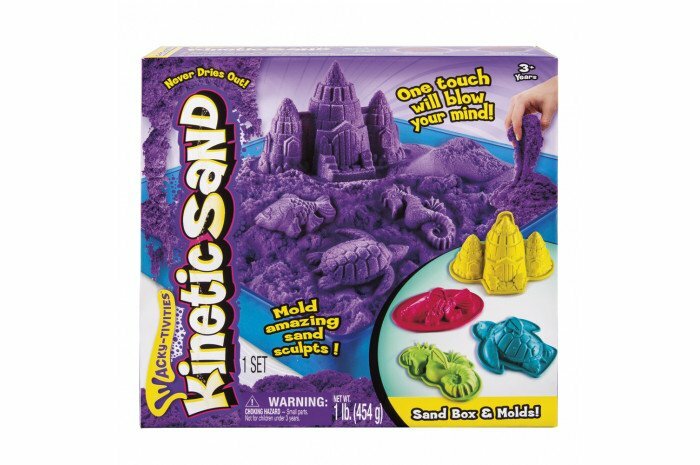 Easy to clean and fun to play with! 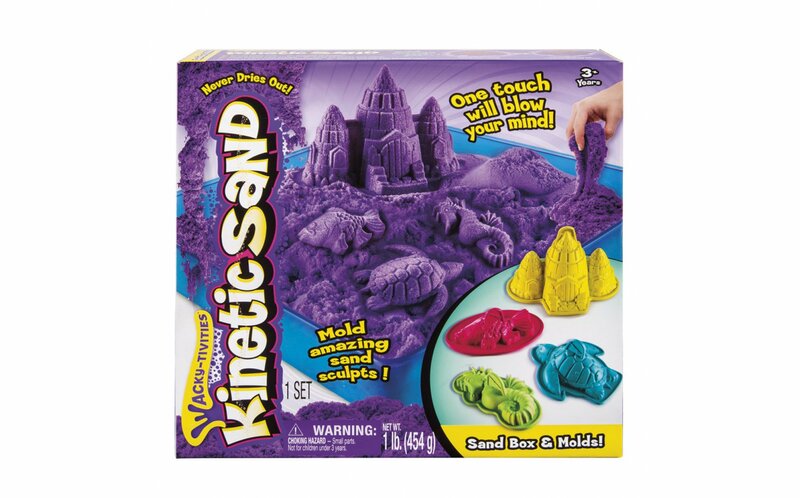 Kinetic sand is moldable and sticks to itself. Includes one set. Colors are assorted in blue, green, and purple. 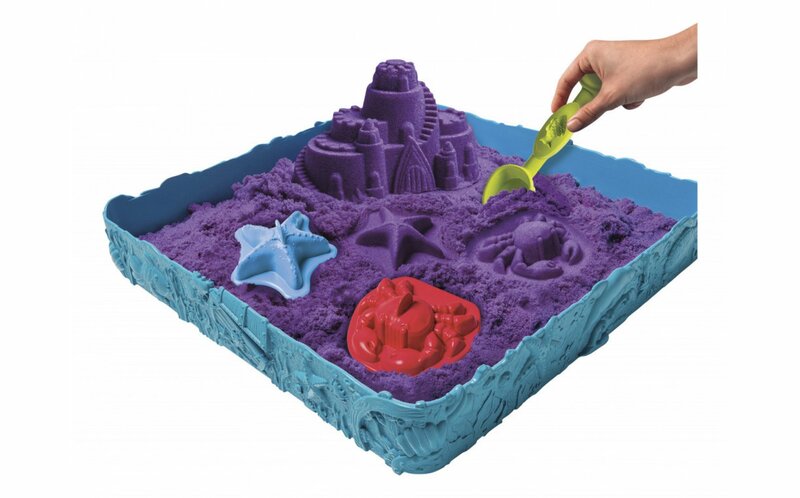 I really like the sand because it doesn't get all over the place and the colors are wonderful. Just needs a bit more sand. Maybe 2 lbs. instead of 1 lb.